Pac-Avoid developer Matt Porter calls King "deceitful and hypocritical." Last week developer Matthew Cox of Stolen Goose revealed King, the company behind Candy Crush Saga, asked another developer to quickly make a game strongly resembling Stolen Goose's game Scamperghost. King has since apologized and pulled the game. 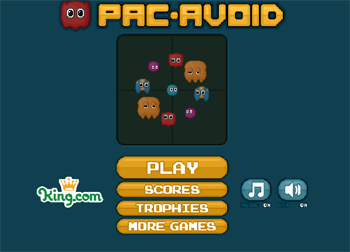 Matt Porter, the developer behind the cloned game Pac-Avoid, wrote a blog post explaining his side of the story and accused King of acting hypocritically. Porter was a member of Epic Shadow when the incident occurred in 2009. He had worked with King before through Lars JÃ¶rnow, the games acquisition manager for King at the time, and had a poor living situation when King contacted him. According to Porter, when JÃ¶rnow explained the situation in which Stolen Goose "backed out of the deal" with King, Stolen Goose was painted in a negative light. "I had a good working relationship with King then and was quite upset that someone would break the FGL [FlashGameLicense] terms and conditions," Porter said. "I initially thought the job was a little immoral, and a bit sketchy, but we had worked with King before, talked regularly, and Lars made these other developers seem like some really unprofessional jerks." JÃ¶rnow stressed the game needed to be made quickly in order to hit the market before Scamperghost did. Porter explained Epic Shadow took the game because it needed money and also because JÃ¶rnow made Stolen Goose seem like "the bad guys." Still uneasy about the project, Epic Shadow removed its branding from Pac-Avoid. After the game released, the Scamperghost team contacted Porter, who apologized and agreed he had been misled, and they came to the decision that King was to blame. King stated it thoroughly searches other games before launching its own games to ensure the company does not infringe others' intellectual property. According to Porter, a King employee said King had many ideas for a game when it lost Scamperghost and decided to make "their own game, including their own original ideas." Porter strongly disagrees with this sentiment; King only instructed Epic Shadow to clone Scamperghost. "I'm quite irked that King as the nerve to blatantly lie and shift the blame to me," he said. "Based on their response to the recent allegations, I now know that the company is both deceitful and hypocritical. I was contracted to make Pac-Avoid, a direct clone of Scamperghost, and I did just that." King's CEO Riccardo Zacconi said in an open letter yesterday the company never should have published Pac-Avoid. King is trying to distance itself from the hypocrisy of being against cloned games despite commissioning a cloned game years ago. However, by trying to paint the situation as more complex than what we know, King is also ignoring what it did.